If there’s one thing that the world needs more of: it’s coffee shops. I know we have the tried and tested brands we’ve all come to love but there’s something special about discovering new coffee shops offering their unique take on caffeine. My favorite past time is to just stare at the crowd while gong through a steaming cup of Americano. So, it’s always a welcome development when another coffe shop opens to give service to the caffeine addicted hoard. Say hello to Johann Coffee and Beverages, owned by JKLBeverages Corporation, a coffee shop aimed for Filipinos who are yearning for change in the F&B industry, specifically, in the coffee business sector. Johann Coffee and Beverages will have a back-to-back full store opening starting October. The 4th outlet (full store), which will open on October 9, 2016, is strategically located at the Blue Bay Walk in Pasay City. Moreover, the 5th outlet stands in the heart of the business district at Valero Street in Makati City and is opening on October 11 of this year. 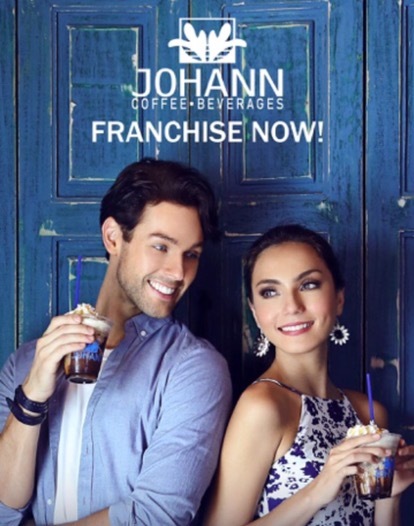 Truly, as Filipinos become a coffee-centric nation, Johann Coffee and Beverages envisions remarkable handcrafted beverages accessible and palatable for every coffee lover in the Philippines. Shortly after its exceptional debut in the recent biggest Franchise Expo in the Philippines held at SMX in Pasay City earlier this year, Johann Coffee and Beverages along with its mantra “everyone deserves a perfect shot,” had successfully opened business opportunities not only in Metro Manila but also in other provinces in Luzon such as Bulacan, Cavite, Laguna, Rizal, just to name a few. And, soon, Johann Coffee and Beverages will flourish in Davao and General Santos City! “We at JK LBeverages Corporation believe that everyone deserves a perfect shot. Our desire is filled with so much passion in making every Filipino’s dream come true: owning your dream business while enjoying a perfectly pulled coffee. We ensure that this vision will be made possible with Johann Coffee and Beverages. 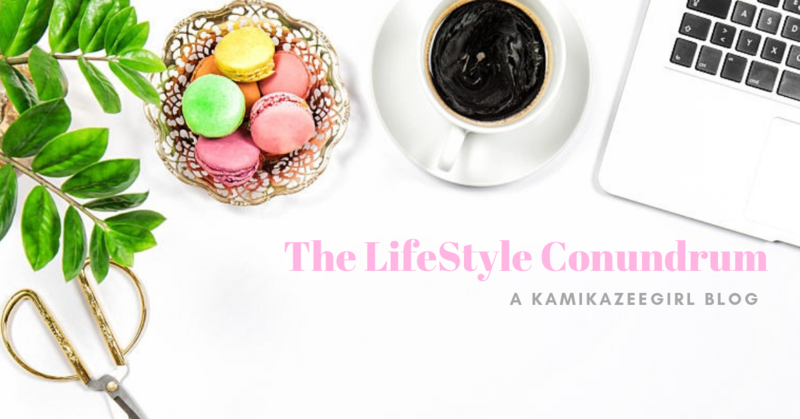 Our unprecedented concept will start strong, grow, and innovate with the mission in making the best and handcrafted beverages available for everyone. Indeed, we all deserve this shot,” says Kristine S. Lim, the game changer behind the admirable business concept. As featured in ABS-CBN and other media channels, Johann Coffee and Beverages helps the community sustain the quality of life by supporting local coffee growers and farmers. The mixtures of homegrown and imported beans bring a new kind of coffee franchise opportunity to our country. 1st OUTLET TO OPEN is at FESTIVAL MALL ALABANG. COFFEE TRUCK. OCTOBER 2. 2nd and 3rd OUTLETS to open is at FARMER’S and GATEWAY. BOTH are KIOSKS. OCTOBER 6. 4th outlet to open is at BLUE BAY WALK. FULL STORE. OCTOBER 9. 5th outlet to open is at VALERO STREET, MAKATI. FULL STORE. OCTOBER 11. I probably mentioned during one of my endless rants here on my online domain that five freaking years ago, I gained weight and I never stopped gaining ever since. From the lithe and elfin 90 pounds when I was still in university, I boomed to 140 pounds by the time I turned 29. I am 5 feet tall (short?) and by all accounts you could probably say that I am 30 pounds overweight. Earlier this year, I vowed to start doing something about my weight if i REALLY want to freaking procreate. (Embarrassing side story: I pretty much had it up to here with people teasing me and The Hubby about the fact that we haven’t had kids yet in spite of a year into our marriage. I pretty much stopped agreeing to meet old friends cos it’s starting to get offensive when they ask me about “procreating”. The thing with Pinoys is we’re so effing taklesa for our own good. It’s hard to keep myself from slapping friends who ask the same questions over and over again: So, when will you have kids?). Anyway, back to the weight story. Since January started cutting back on meat and started running on a twice a week basis. I also stopped myself from snacking too much on sweets and salty food (which basically makes life heaven for me). But there’s one thing I can’t stop myself from doing: stop DRINKING COKE and coffee! Caffeine is ruining my life, as we know it. Every morning, I refuse to function without a steaming hot coffee on the table. I take a bath, dress myself and go to work, where–again–I will take my second cup. At the course of the day, I will drink coke or iced tea depending on the availability on the office vendo. On weekends–no thanks to the maddening heat wave–I will start and end the day with ICE COLD COKE. And so, the struggle to stop gaining weight continues. I don’t know what it is with coke and coffee that I simply can’t let go. Was it due to force of habit (I was a writer and I can’t think minus my coffee), or was it the taste? Or I just simply lack the will to just STOP DRINKING.